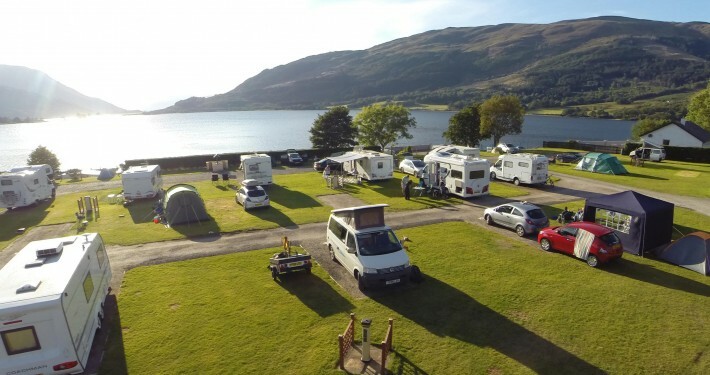 If you enjoy touring in Scotland with your motorhome, caravan or tent, you’ll find Invercoe in Glencoe has something for you – lots of touring pitches, good touring park facilities and services, big mountains and an equally big welcome. 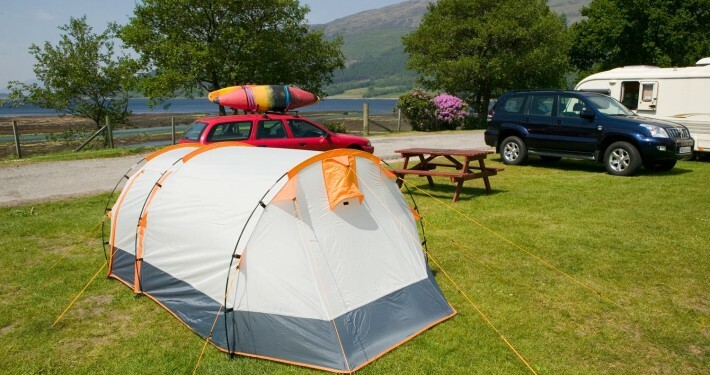 Please note that the maximum tent size is 4 berth. 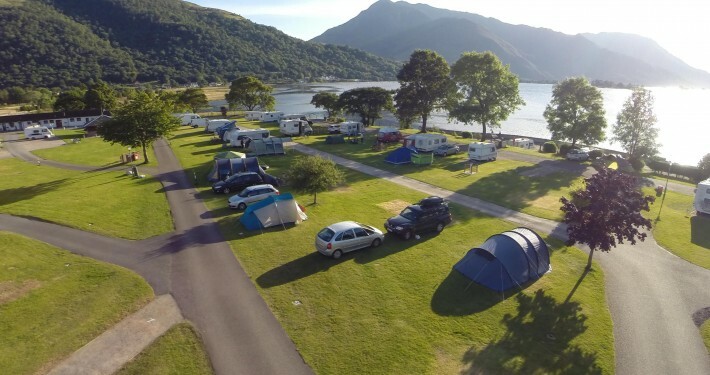 Our long established caravan and camping park offers a high standard holiday with our Park achieving a Four Star top grading by VisitScotland. 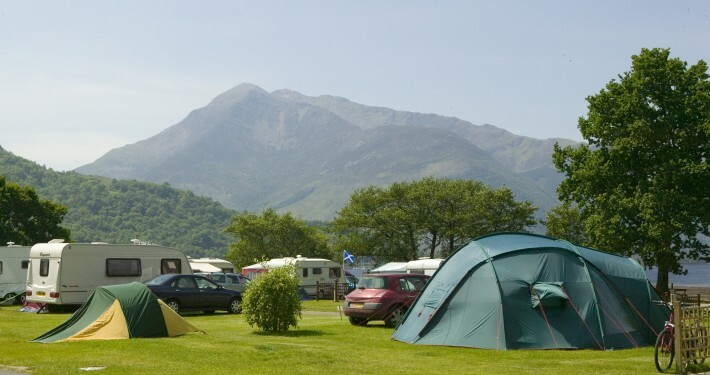 It is surrounded by beautiful scenery with grassy, mostly level touring pitches and several hard standing areas. There is a small shop on site which offers a wide range of groceries, essentials and gas. The laundrette offers – washing/drying/ironing facilities, it also has plenty of local information on things to do as well as places to visit etc. We also have a soft surfaced childrens’ play area. There are electric hook-ups available but at peak holiday periods it’s advisable to book in advance (minimum of three nights over the festive season). On the whole a well situated family-orientated park where your holiday satisfaction is our priority. Our touring park is open all year & there is generally no need to book for stays during the winter months other than at Christmas/New Year & February half term holiday periods. We welcome well-behaved dogs but they must be exercised outside the park. 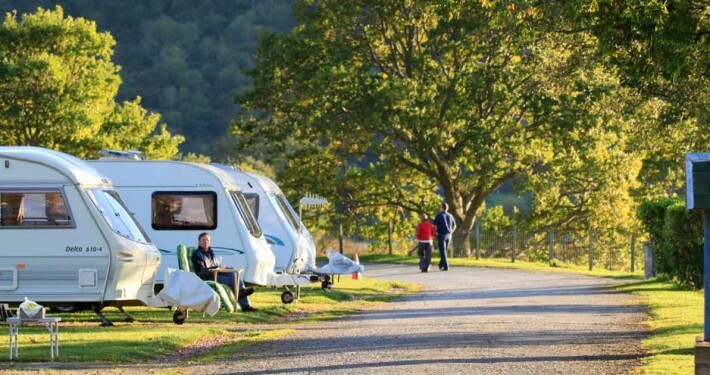 A deposit of £40 is required when booking a touring pitch, with the balance paid on arrival. *Please note no monies are refunded and therefore we strongly advise that you take out holiday cancellation insurance.